Sustainable construction is at the heart of our strategy and our goal of Shaping a Better Life. We are committed to design, build and operate high performance, sustainable buildings and structures which improve the quality of people’s living and working environments. To help meet the challenges of sustainable development, Bouygues Construction Australia is supported by a global initiative called Responsible and Committed. At Bouygues Construction Australia, we believe every project is an opportunity to build ambitious solutions for sustainable benefit. Being responsible means respecting our clients and collaborators, the environment and our stakeholders. Through individual and collective initiatives, we safeguard the health and safety of all people on our sites, ensure ethical behaviour and the protection of the environment. Being committed means contributing to the development of the communities in which we operate – through our concrete actions on the ground. We encourage and empower employees to prioritise local employment, purchasing and training, to ensure we leave a legacy of long lasting value for the communities we work in. Our commitment to Shared Innovation is fundamental to our ambition of creating sustainable outcomes. 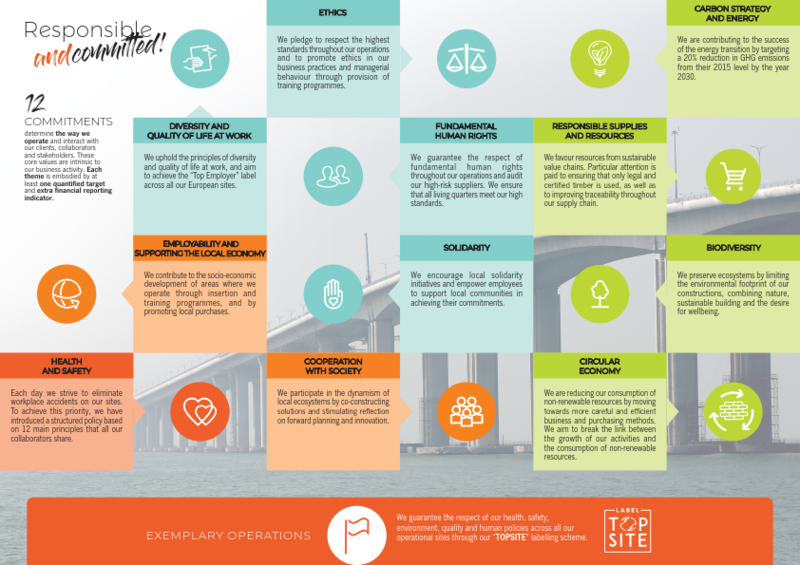 Our Responsible and Committed policy outlines 12 commitments that determine the way we operate and interact with our clients, collaborators and stakeholders. Each theme is embodied by at least one quantified target and extra financial reporting indicator. Working in collaboration with our clients and partners, we aim to provide innovative solutions to minimise environmental impact, whilst seeking to improve the living and working environments of end users. To anticipate and move with the dynamic changes that affect our industry, Bouygues Construction places sustainable construction at the heart of its research programs. The focus of the initiatives are energy efficient buildings, efficient resource and materials use, carbon efficiency, biodiversity, interior air quality, the eco-friendly behaviour of users and eco-design. The strategic focus on innovation will ensure we meet the economic, social and environmental challenges of today and tomorrow. We adopt eco-design principles to reduce the environmental impact of our projects to a minimum whilst ensuring user comfort and optimising the life cycle. To align with our global target we aim to use environmental certification such as BREEAM®, LEED and HQE® on over 50% of all orders for buildings to promote this agenda. During the construction phase, we strive to minimise the environmental impact of our projects and mitigate the impact of our work on the local community. 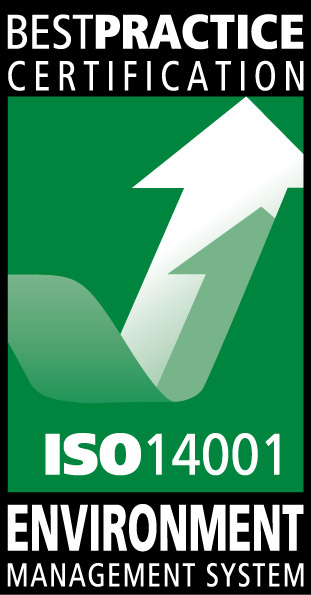 We achieve this objective via implementation of our Environmental Management System which is accredited to ISO 14001 Environmental Management System Requirements. Our Environmental Management System is underpinned by the implementation of 11 Global Environmental Standards which detail our standardised approach to managing strategic environmental risks. The TopSite label is a group initiative which seeks to make each of our construction sites emblems of our operational performance, reflecting our commitment to sustainable development. Large scale projects are evaluated on a broad range of criteria including Health and Safety, Environment, Quality and Customer Satisfaction, Innovation and Local Benefit. The presentation of the TopSite Label is highly regarded amongst the group, and represents a commitment to the core values that define our company. We also align our projects with industry sustainability rating schemes. As part of the Cross Yarra Partnership (CYP) consortium, Bouygues Construction Australia is delivering the Tunnel & Stations Public Private Partnership package of the Metro Tunnel Project (client: Melbourne Metro Rail Authority). CYP is committed to achieving a ‘Leading’ Infrastructure Sustainability Council of Australia (ISCA) Design & As Built Rating for the project. CYP is also committed to achieve a 5 star certified Green Building Council Australia Green Star rating for all stations. The CYP Sustainability Policy is available here. The CYP Environment Policy is available here. Bouygues Construction Australia, in partnership with Lendlease, is designing and constructing NorthConnex. NorthConnex received the highest possible ISCA rating for design. In October 2016, NorthConnex was officially awarded a ‘Leading’ Design Infrastructure Sustainability (IS) rating, which indicates the project is achieving best practice in sustainability. NorthConnex is the first road tunnel in Australia to achieve a ‘Leading’ Design IS rating. The Bouygues vision for sustainable neighbourhoods is defined by the program, Linkcity which creates sustainable neighbourhoods by forming synergies between its buildings and structures, and the energy flows and services that bring them to life.